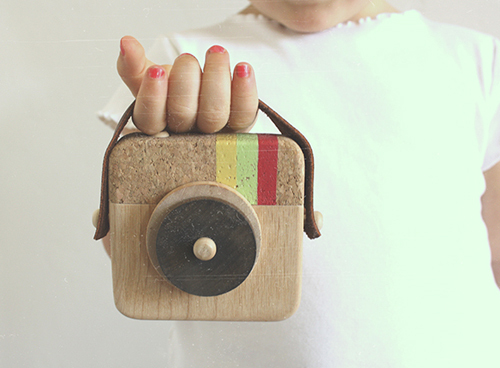 Today I’m loving … these toy camera made from wood by Twig Creative. The cameras let your kids capture moments with their imagination and not your expensive camera. It has a spring-loaded shutter button and a turnable lens for the real picture taking effect. If this camera could take pictures of itself, it would. Made of solid wood, a cork bottom, and a cotton strap. The Anagram (above) is a toy wooden camera inspired by Instagram. It is beautifully designed and handmade from sustainable wood, cork, and leather. Cute, but no kid that I know would settle for a wooden camera when their Mom’s iPhone is nearby. Not to mention two year old’s know how to navigate smart phones better than adults do. I feel like more adults will be enjoying these wooden camera than kids. so cute and fun! love the instagram one! Your blog is soooooo inspiring!!!! Love it!!!! What a great idea! Would make the perfect gift for all of my photographer friends! Thanks for sharing! 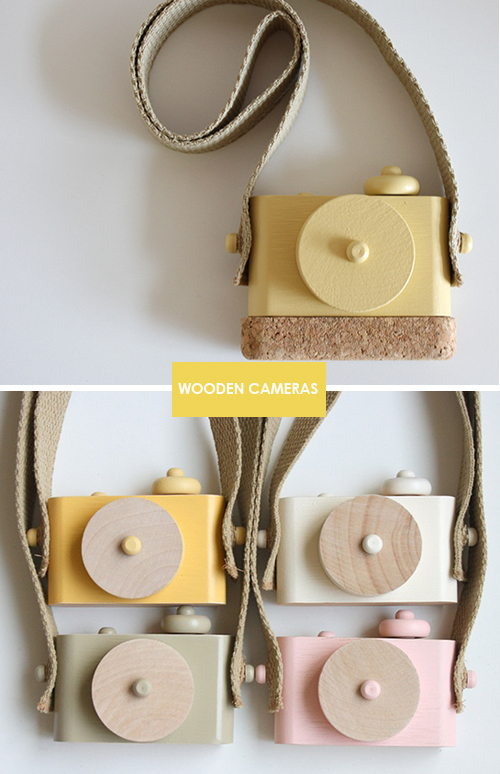 these are fabulous need one of these in my camera kit, love the design of wood and cork!